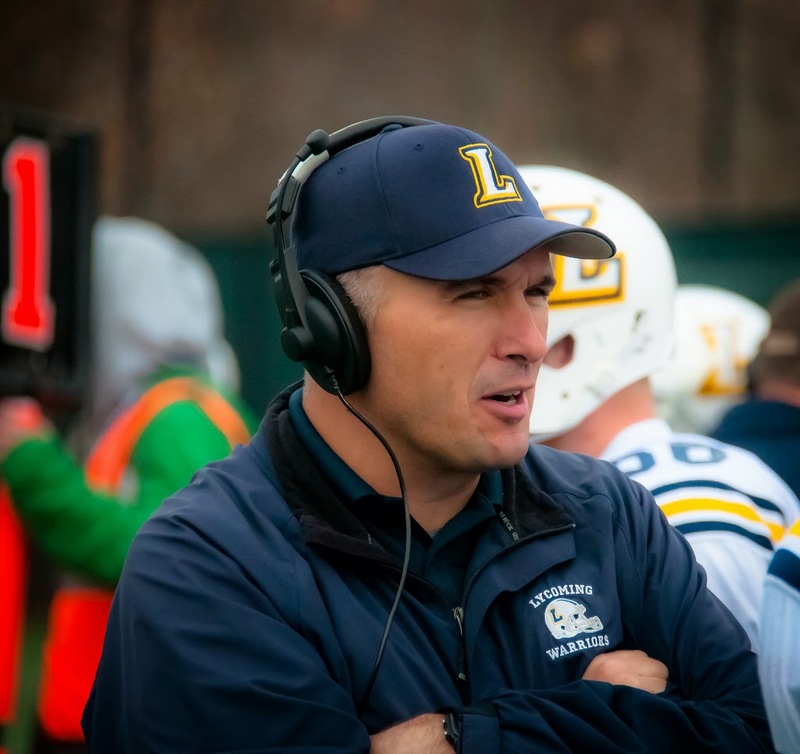 WILLIAMSPORT, Pa. – For the second time this month, the Lycoming College football team was predicted by prognosticators to win its second straight Middle Atlantic Conference title, as the conference office announced the results of the MAC Coaches’ Preseason Poll on Friday, Aug. 14. The Warriors, who also topped the preseason coaches’ poll in 2013, came in first in the poll with 77 points and five first-place votes, outpacing Delaware Valley, which finished with 68 points. Lebanon Valley, which shared the 2013 MAC title with Lycoming, took third with 65 points and four first-place votes. Widener, Albright and King’s made up the middle of the poll and Stevenson, Wilkes, Misericordia and FDU-Florham round it out. Lycoming also topped the MACfb.com SID poll with 70 points, while Lebanon Valley finished second with 62 points. Delaware Valley came in third. The team returns seven all-conference players, which includes six that earned mention on the 2014 USA College Football Division III Preseason All-American team – seniors defensive back Tanner Troutman, running back Craig Needhammer (Lansdale, Pa./North Penn), offensive linemanGarrett Hartman (Jacobus, Pa./Dallastown Area), offensive lineman Casey Strus (Glenolden, Pa./Cardinal O'Hara), quarterback Tyler Jenny (Coalport, Pa./Glendale) and linebacker Kyle Sullivan (Coatesville, Pa./Bishop Shanahan).